Gaza, May 19, I have always came across “Silence” in my life, each time in a different form. It became a companion (rather than just a friend), a goal (sometimes) and an intriguingly opulent space. I discovered that Silence can become anything you want it to be, ofcourse that doesn’t mean its easily manipulated because sometimes it can be an abhorrent burden. Silence is just like air, you cant see it or feel it, but you can definitely sense it and hear it if you paid attention. 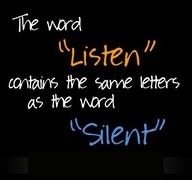 Just like anything in life, Silence can be used in a good way or a bad way. Silence can bounce between gratitude, shame, guilt and\or empathy. Silence is wisdom when talk is cheap. Silence can be a hint of dalliance, the beginning of a love affair, the end of a long relationship, a manifestation of certain good or bad feelings or just a way out. Some consider Silence as a symptom of defeat while others consider Silence as a sign of power. “Actions speak louder than words”, is a popular saying that we often use excessively, but what we fail to mention is that Silence can be as powerful as actions and words. It can ruin a person, relationship, family, career, and\or a reputation if\when misinterpreted. It can also thicken the air when it tries to delicately hold what is left unsaid. Silence can encapsulate endless untold stories and\or secrets but it can also refer to tiresome. 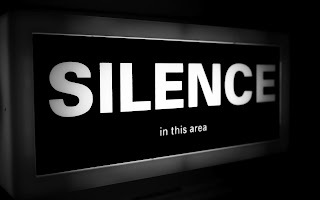 While some people consider Silence as a devilish act, others will resort to Silence to politely disagree with an elderly (whether a parent or a person you highly respect). It can also become the face of helplessness or a wicked punishment to someone that hurt us. Silence can be an alarming warning of anger. People are usually Silent when they are contemplating or planning ahead. Silence can be the preparation of a pleasant surprise or the mischievous intent that will lead to atrocities and\or crimes of any nature. 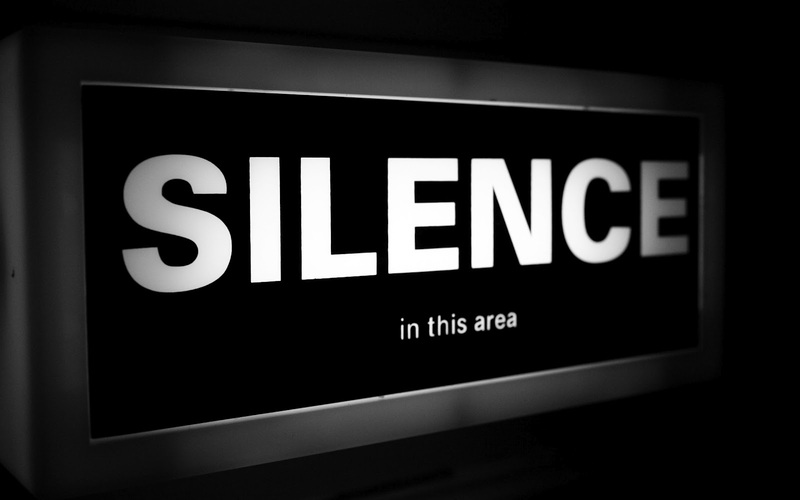 In the Arabic culture, Silence is a sign of consent. When the bride-to-be is asked by her father or the sheikh if she approves or disapproves marrying the man who came to offer his love, Silence is a sign of consent. It can also be a sign of oppression if the bride-to-be is afraid to voice her real feelings. Silence can be an act of fear. Silence can represent an asylum for people who assign it as their comfort zone. It can also be the mantra of true love for you don’t need to speak allot if there is a direct lane of feelings between you and your beloved. It can also refer to a lack of communication or even a lack of trust. Silence has a voice that you can hear if you listen carefully. It can be singsonging calmness or containing bad news or an act of carelessness. Silence can be a privilege that you need to work hard to experience, or a luxury that you yearn to indulge yourself in, or a self-defense mechanism that you use as a shield from being hurt or just a way to recuperate from a deep emotional wound caused by someone you love or a prison that you find yourself stuck in. Silence can be the result of dead emotions. Silence can also be a way of appreciating everything around you. Silence can be caused by injustice. 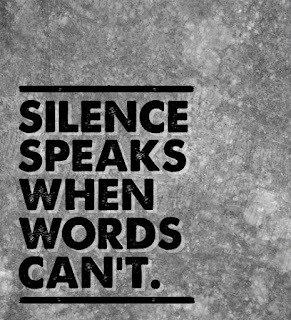 Silence can mean cowardice. Silence can impersonate a man with a wounded pride. Silence can become a solution to disguise confabulation. Silence can shout: I love you or I cant stand you or I need my distance or I need to stay away for your own good. Hence, Silence can also showcase inner peace or the exemplary rituals of a spiritual prayer that you might be performing for god in a ceremony that includes only you and god. Silence can be easily molded but it should never be underestimated or taken lightly because it can hide lifetimes and worlds.